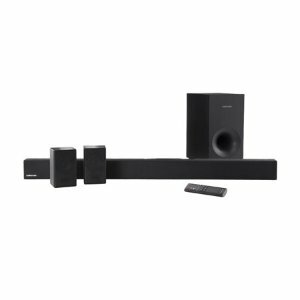 Walmart offers the Samsung 4.1 Channel 200W Soundbar System with Wireless Subwoofer for $169. Features: The Samsung HW-MS57C 4.1-Channel Sound Bar System with Built-in Subwoofer delivers rich, room-filling sound and wireless streaming. The set features rear wireless surround sound speakers and a built-in subwoofer.